The Spanish team will be measured as a visitor to the Belgian national team on April 20 and 21 as determined by the draw held on Tuesday at the ITF headquarters in London. 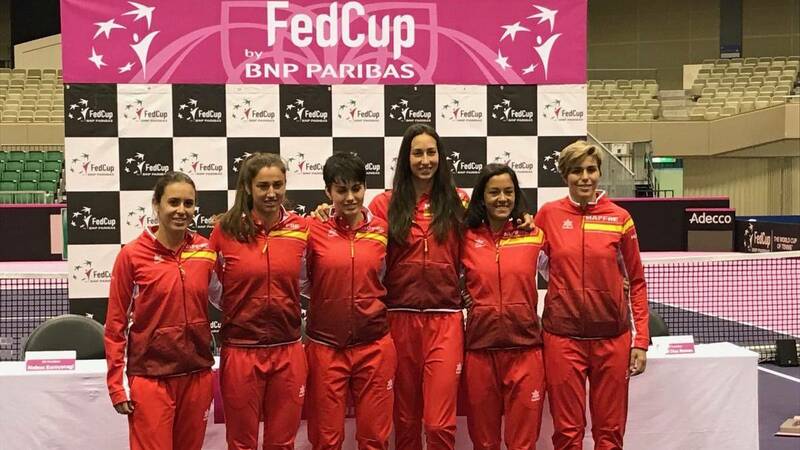 The Spanish Federation Cup team, champion on five occasions, will face Belgium, winner in 2001, in Belgian lands, in the elimination round to the World Group, as determined by the draw made on Tuesday at the headquarters of the International Tennis Federation (ITF) in London. In the ceremony, led by ITF President David Haggerty, the Czech Republic will play against Canada in Czech lands, the United States will face Switzerland on American soil, Germany will visit Latvia and Spain, captained by Anabel Medina and after his triumph at home to Japan, will travel to Belgium. Belgium, directed by Johan van Herck, has three players ranked among the 53 best in the world, such as Elise Mertens (21), Alison van Uytvanck (50), Kirsten Flipkens (53) , and the dubbing player Ysaline Bonaventure. The set comes from surrendering against France 3-1 in the first round of the World Group played in Liege. The raffles were also raffled for promotion to Grupo Mundial II, in which Russia will play against Italy, on Russian lands, Japan against Holland in Japan, Kazakhstan against Great Britain in British lands and Brazil against Slovakia in Slovakia. The qualifiers will be played on the week of April 20 and 2122222, the same date in which the semifinals of the tournament between Australia and Belarus will be played and France-Romania.